Bearhill Brewing is an Alberta organization that includes brewpubs in Calgary, Banff, Jasper, Edmonton and Fort McMurray as well as a retail division. We are a dynamic and growing organization that aims to create community cornerstones, quality craft products and locally inspired experiences. 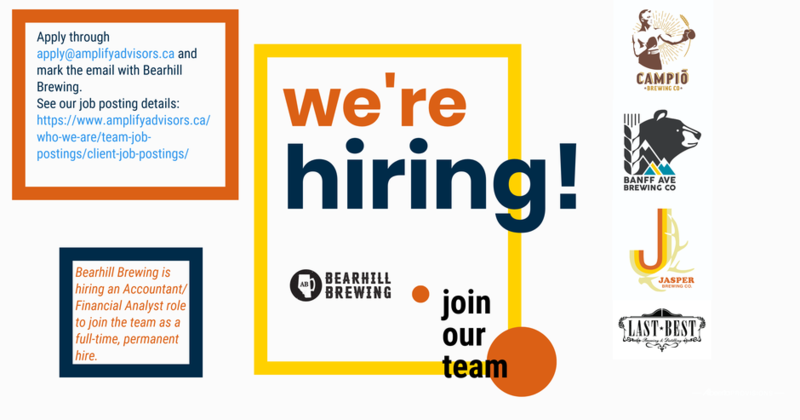 Apply through apply@amplifyadvisors.ca and mark the email with Bearhill Brewing.